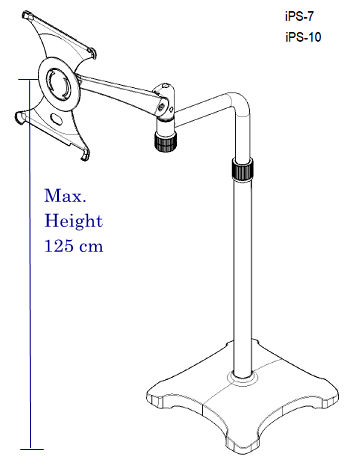 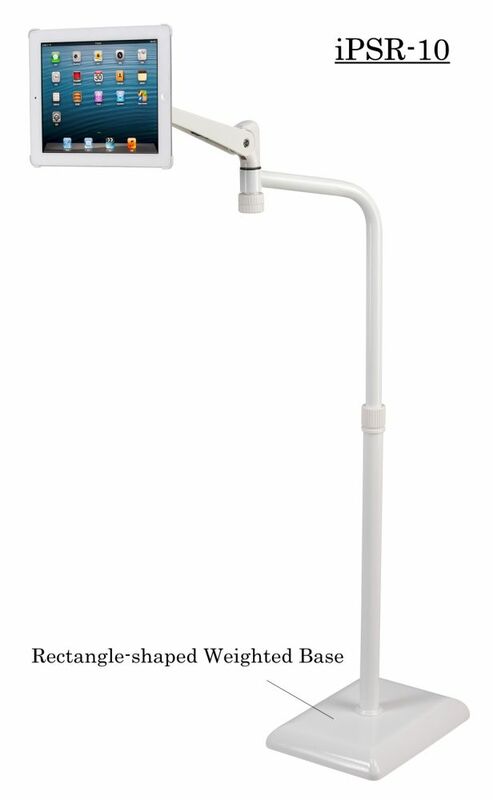 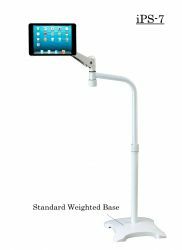 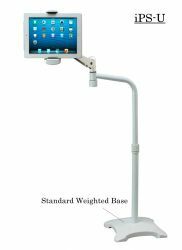 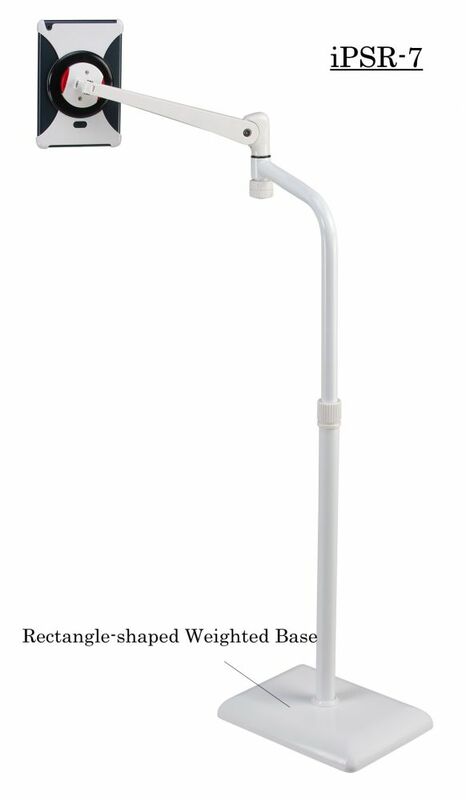 This tall floor stand for tablets not only allows users to set their hands free but immidiately transforms the stand to an interactive station at offices, reading rooms, living rooms, bedrooms, meeting space, reception or information desk. 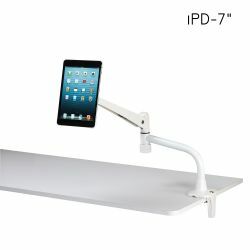 Select from a fixed size of 7" or 10" tablet case to your desire. 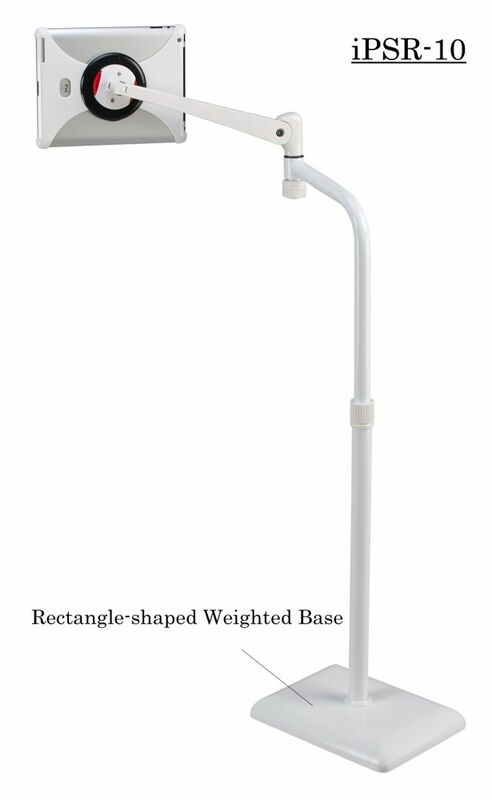 Also available in 2 shapes of weighted base. 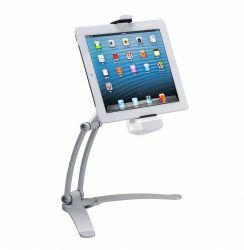 StabilitySecure and fasten valuable tablets onto the stand to prevent accidental crashes. 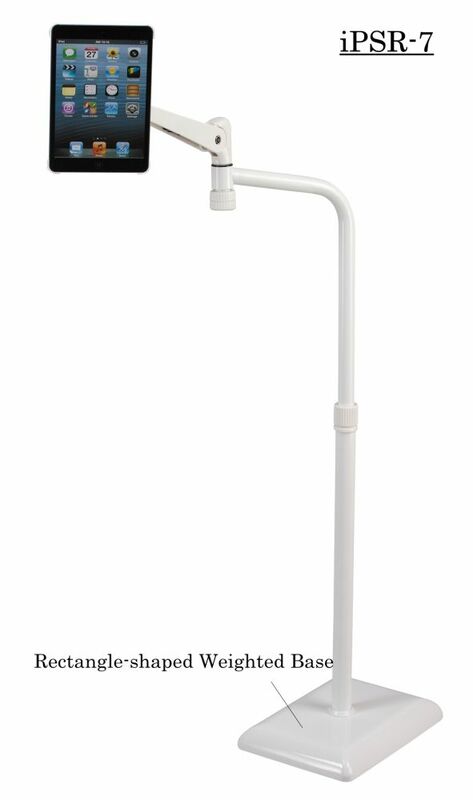 MobilityEasily set up a mobile iteractive station without being permanently fixed at any spot. 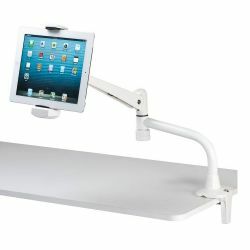 Compatible ModelsiPad, Tab, Kindle and any other tablet size of 7" OR 10". 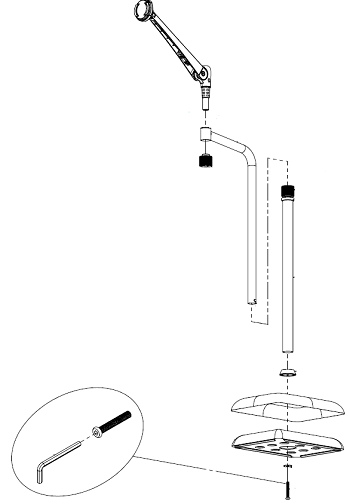 Compatibility Select from a fixed snap-on tablet case of 7" OR 10". 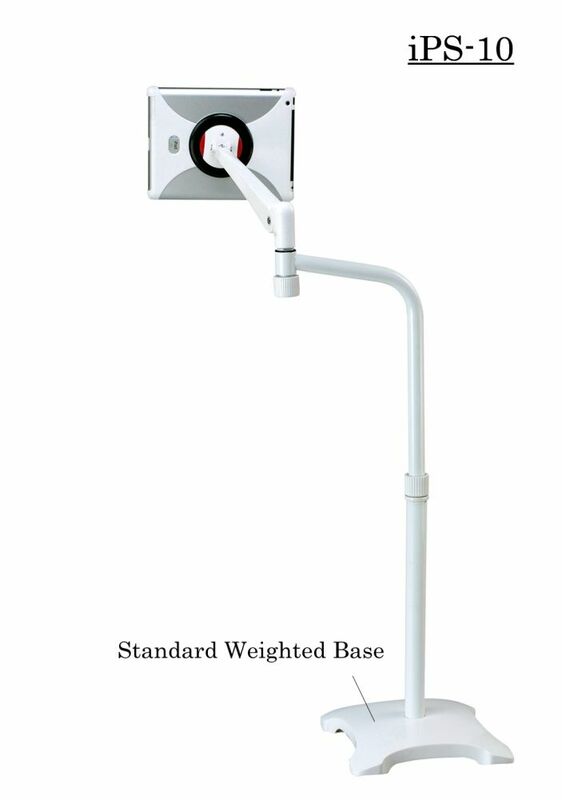 VarietyChoose iPS-U for the standard weighted base. 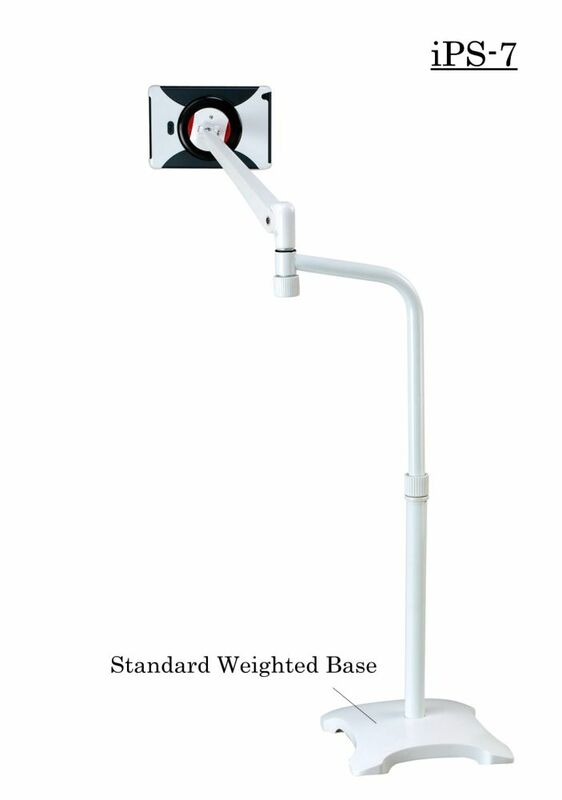 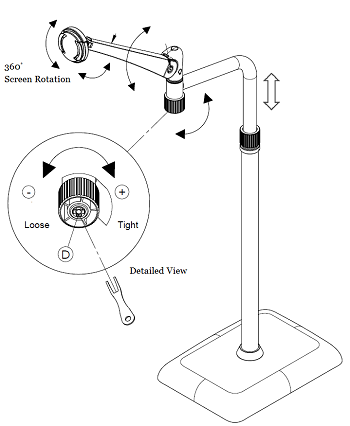 Choose iPSR-U for the rectangle-shaped weighted base. 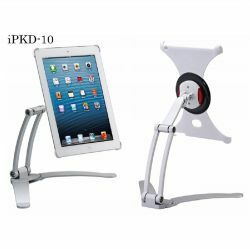 3-in-1 Tablet Holder & Stand. 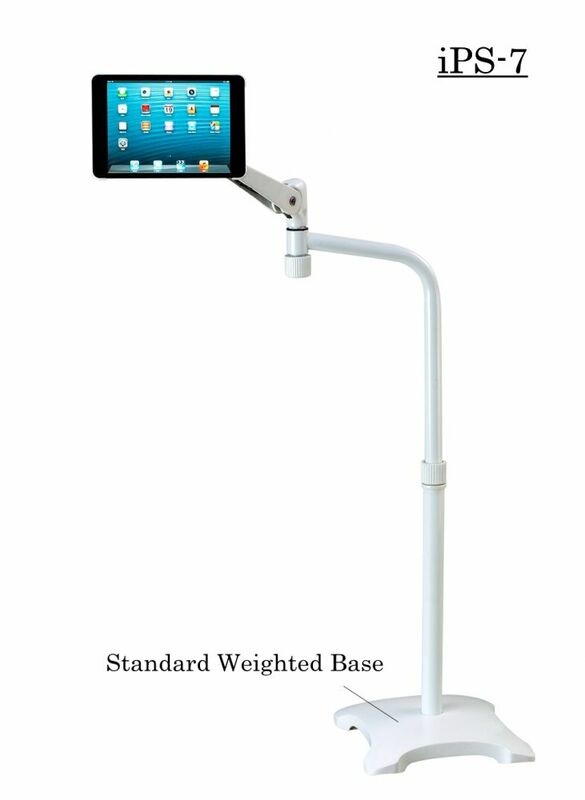 Floor Stand for tablets with expandable snap-on case.